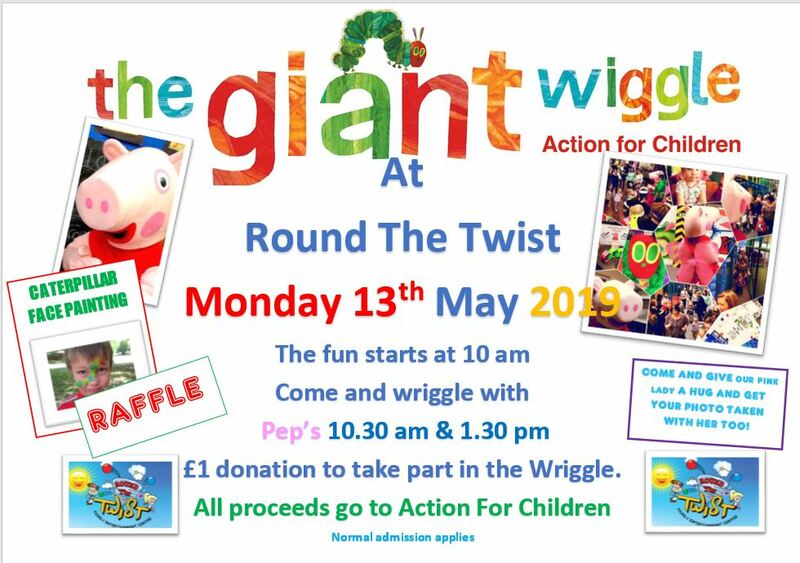 We are raising money for Action For Children on Monday 13th May 2019. The fun starts at 10 am. Want to come in fancy dress? Go on then! Come and wriggle with Pep’s at 10.30 am & 1.30 pm when we join her in a huge CONGA dance around the soft play. There’s a £1 donation to take part in the Wriggle. Included in the day’s fundraising we will have caterpillar face painting, raffles, crafts and story time. Normal admission applies. No need to book!